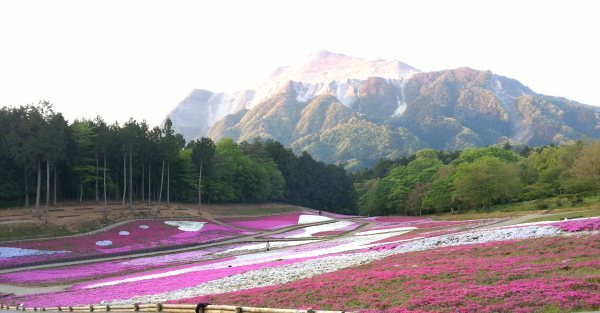 During the golden week, I visited Chichibu in the Saitama prefecture and Kanna-machi in the Gunma prefecture. Because of the golden week, those places were quite crowded with people. 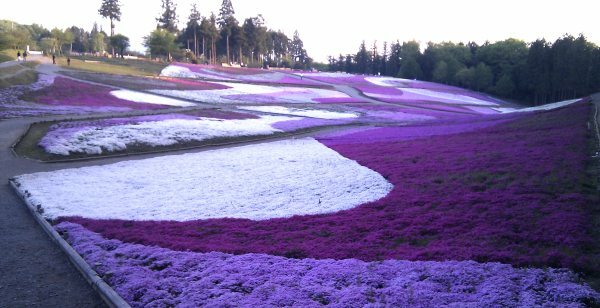 In the Hitsujiyama park, in Chichibu, Saitama, the shibazakura (moss pink) are in full bloom during this period and we can see a carpet of pink and white flowers. However to prevent the congestion inside the park, cars are forbidden to enter. Then I heard that it was possible to drive until the inside of the park in the early morning, so we visited at 5AM. Wonderful! It’s not crowded at all. 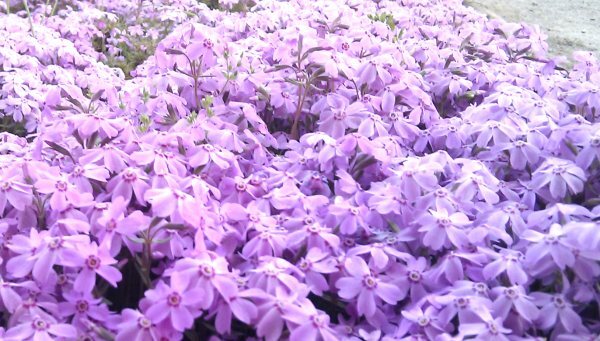 Only 80% of the flowers were actually in bloom, so we can’t qualify that as full bloom but it was very beautiful. As I thought, sakura are nice! 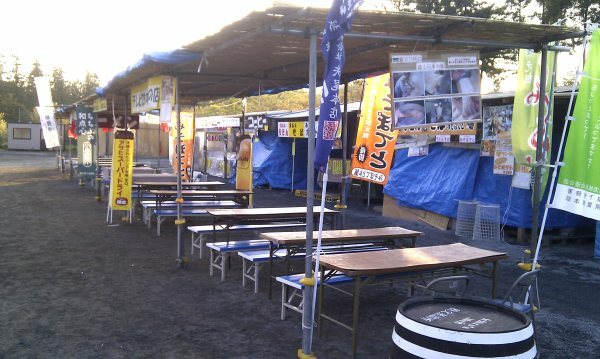 All the stands which are so crowded during daytime were empty. It’s good to visit in the early morning to avoid the crowd. Just when we were heading back home, the guards for traffic control arrived. 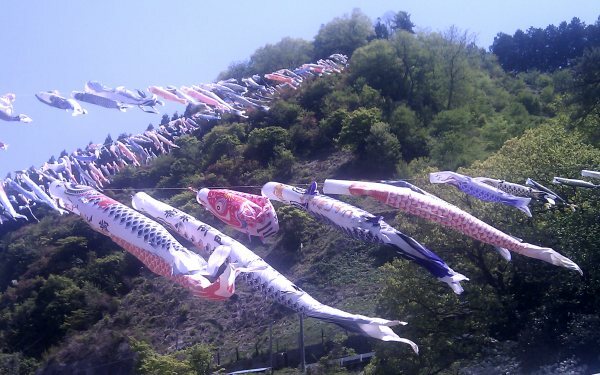 In the afternoon we went to Kanna-machi in the Gunma prefecture, we saw huge koinobori (carp-shaped wind socks). 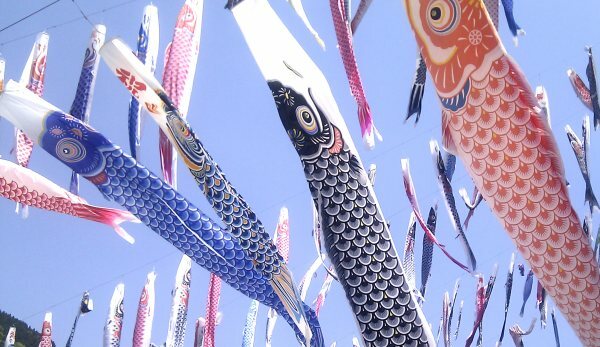 According to my mom, usually this rural town is not crowded at all, but many people came to the river where the koinobori were hanged to see them. They were huge! There were quite a lot of them. 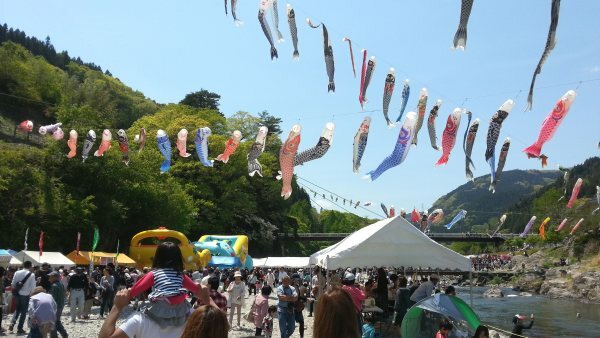 That day of “Children’s Day”, the place was filled with many families, there was a festival atmosphere. I could get a warm feeling that I hadn’t had for a long time.